These can be made in a variety of bronze, brass, copper, aluminum, stainless steel, gold, or silver surfaces finishes . 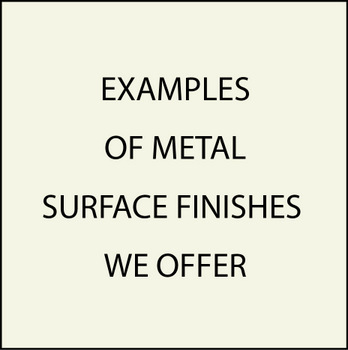 Shown in this section in 7000A, 7000B, and 7000C are a few examples of the type of metal surfaces we offer. Others such as copper, stainless steel and aluminum are shown in the 100 photos below. Although we show specific plaques her, nearly all plaques in Gallery 7 can use the same surface finish choices.